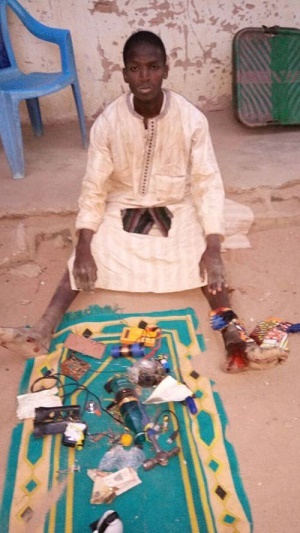 Yesterday afternoon the Nigerian troops in conjunction with the DSS tracked down and arrested three suspected Boko Haram terrorists in Gombe State. 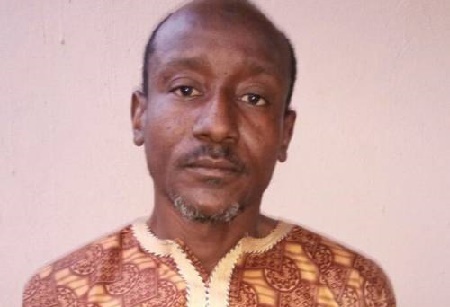 The suspects belonging to Al-baranawi faction of Boko Haram were arrested at Arawa and Mallam Inna area of Gombe on Sunday. 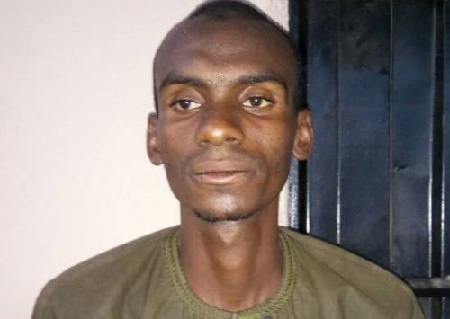 Bilal Muhammed Umar, Bashir Muhammed and Muhammed Maigari Abubakar came to Gombe from Chad for another heinous assignment when they were tracked down. The suspects are currently undergoing preliminary investigation in military custody. The penalty should be death by starvation. Dirty dogs! Whats happening to his ankles and feet? Sad life.